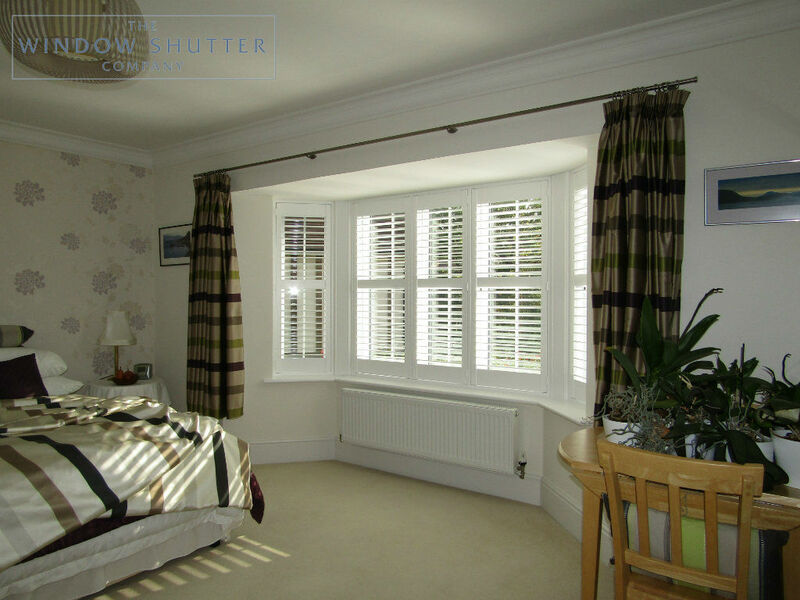 The client contacted us as they were looking to dress the upstairs windows of their executive house in Maresfield, East Sussex, which included two bedrooms with bay windows. We arranged a free home design visit in August 2018. 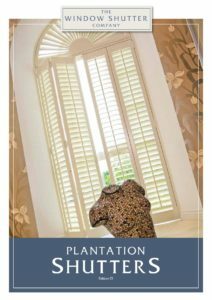 There was nothing out of the ordinary to assess except that the client had already had some shutters installed by another retailer, whose products do vary somewhat from ours. During the home design visit, we described and explained the differences between our shutters and those already in place and decided on the best match possible so that the shutters would look the same from the outside. The only noticeable differences between the original shutters and ours, was the hinges and the tilt control. We use a standard barrel hinge that can be seen and the original shutters used a concealed version. One advantage with our hinges is that they can be adjusted to level the panels, either at install or in the future if required. 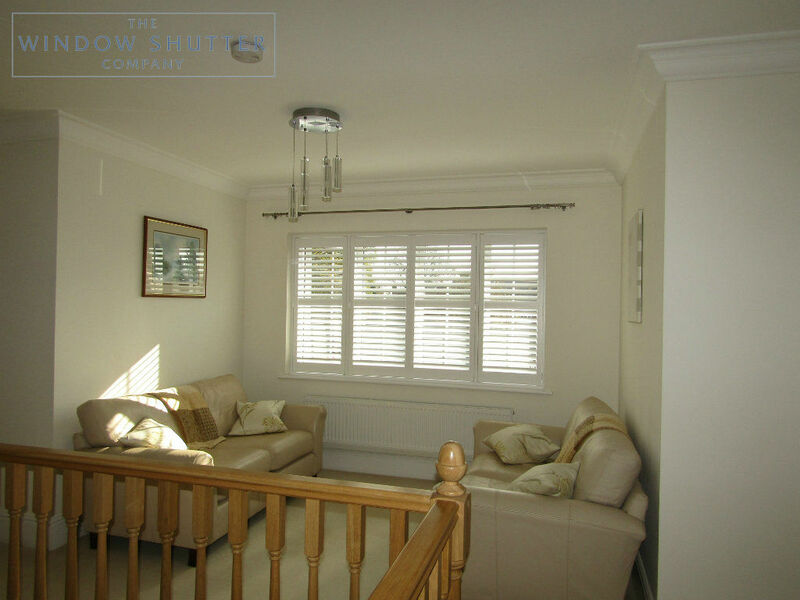 With regard to the tilt control, the original shutters had a bar connection on the reverse of the panel, whereas ours have an inbuilt mechanism that is not visible, and are therefore truly hidden. 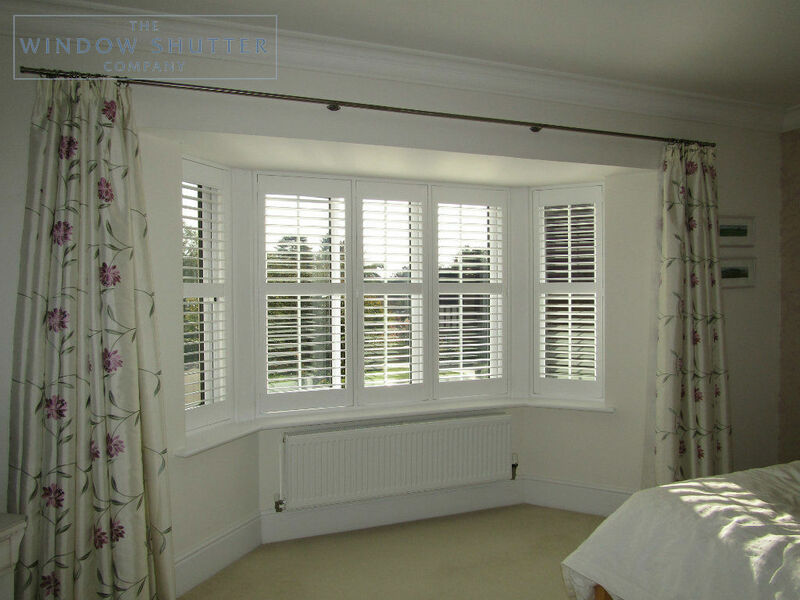 Whilst the original shutters were hardwood, the customer felt that the excellent finish and hard-wearing nature of our Seattle range was a perfect alternative. The fact that the Seattle product is less expensive, sealed the decision. Fitted in three framed sections between the window mullions, we installed two three-part, angled bays in the front bedrooms and a large straight landing to complete the external aspect. Using a 63mm louvre in Pure White with a hidden tilt control mechanism, the job was installed without any fuss, within our normal lead time.